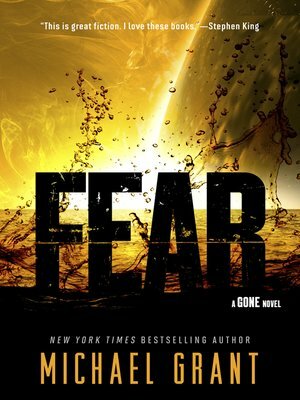 The fifth book in the bestselling Gone series by Michael Grant continues the page-turning saga of Sam, Astrid, and Drake in their terrifying post-apocalyptic world. Despite the hunger, despite the lies, even despite the plague, the kids of Perdido Beach are determined to survive. Creeping into the tenuous new world they've built, though, is the worst incarnation yet of the enemy known as the Darkness: fear. Within the FAYZ, life breaks down while the Darkness takes over—turning the dome-world of the FAYZ entirely black. A will to survive and a desire to take care of those they love endure in this ravaged band, even in the bleakest moments. But in darkness, the worst fears of all emerge, and the cruelest of intentions are carried out. After so many months, is all about to be lost in the FAYZ?